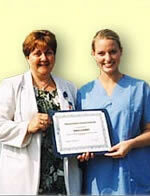 PROFESSIONAL HEALTH CAREERS is available only to seniors who have previously taken the Nurse Assisting program. Seniors must have either passed the Certified Nurse Aide (CNA) examination during their junior year or, if not, be Certificate eligible (passed the Nurse Assisting class, fulfilled their clinic hours, and met the attendance requirement). Those seniors who complete the entire program sequence and are Certified Nurse Assistants will qualify to take the Patient Care Technician Certification examination. 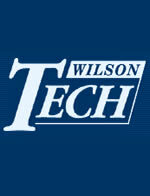 At Wilson Tech, opportunities for Advanced Standing in adult Practical Nursing and Surgical Technology are available provided that the student fulfills the stated criteria. 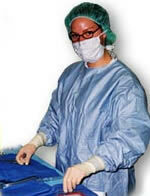 Liseth Vanegas - Adelphi University RN Prog. Shakeria Slater - Nassau Community Pre-Nursing Got Questions? Fill out the Quick Contact form below to get your answers.